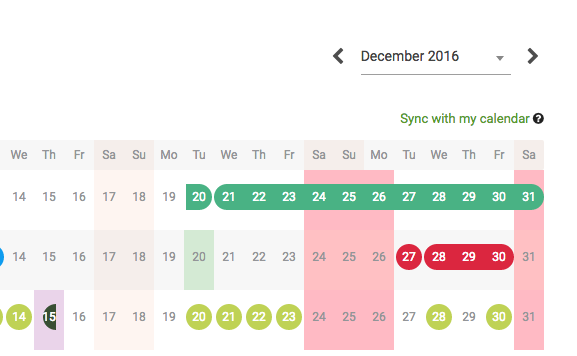 Synchronising your CakeHR calendar to your daily office suite is a great way of seeing who is off and when against other business appointments. Towards the top right of the calendar, press "Sync with my calendar"
4. Head to your third party application (iCal, Outlook, etc). 5. You will need to "subscribe" to your calendar. You're done! You will now see pending requests, approved requests and any edited requested.